Hawaii is a snorkeling paradise. 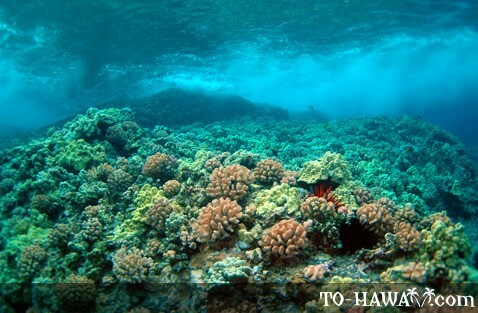 No matter where you are in Hawaii, you will find excellent snorkeling beaches all over. 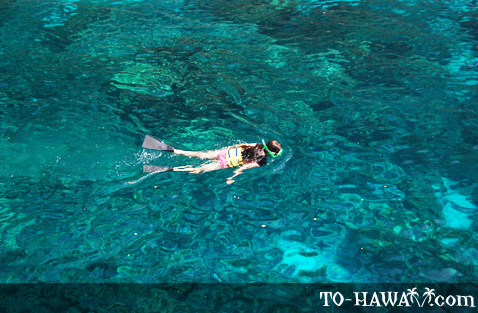 There are two ways to go snorkeling in Hawaii - on your own or with a snorkeling tour company. If you want to go on your own, do some research first to find a beach that's suitable for snorkeling. Also, keep in mind that snorkeling is often a seasonal activity on some beaches, meaning that the snorkeling conditions can be excellent in the summer months, but marginal or even dangerous in the winter months (or vice versa) due to high surf. If you are a novice snorkeler and you are unfamiliar with Hawaii's beaches and ocean conditions, you might want to book a professionally guided snorkeling tour. Also, some great snorkeling sites are located further offshore and are only accessible by boat or kayak, in which case you can join a guided snorkeling tour. 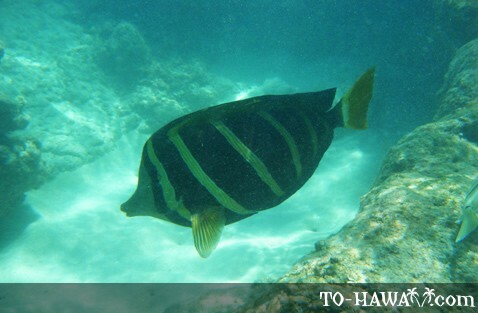 Below you'll find an overview of some of the best snorkel sites on Oahu, Maui, Kauai and the Big Island. One of the best snorkel sites on Oahu is Hanauma Bay. The bay is a marine life conservation district, meaning that all marine life within the bay is protected. Hanauma Bay is no ordinary beach park and it is the only beach in Hawaii that has opening times (it is closed on Tuesdays) and charges and admission fee ($7.50 for people age 13 and above). 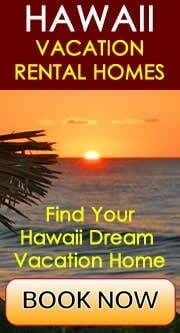 The fee is waived for Hawaii residents and military stationed in Hawaii with ID. But it's definitely worth a visit. Hanauma Bay is home to more than 450 species of fish, many of which are endemic (can be found nowhere else in the world). The nice thing about snorkeling at Hanauma Bay is that it's ideal for people of all skill levels. You can basically just stand in chest-deep water, put your head down and see the fish. 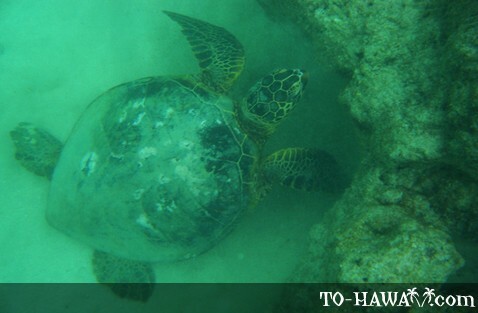 You'll also be able to see the humuhumunukunukuapua'a, Hawaii's state fish, as well as eels and turtles. Another very popular snorkel site on Oahu is Shark's Cove, located on the North Shore. The snorkeling conditions are best here in the summer months when the ocean is calm. 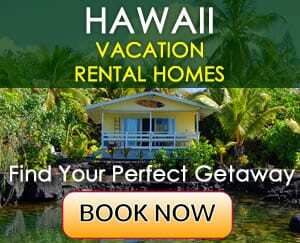 On Oahu's leeward (west) coast, there are several tour boat companies stationed at Waianae Boat Harbor and Ko Olina Marina that take their guests to other good snorkel spots located further offshore, such as off Makaha Beach and Kahe Point. Popular Waikiki Beach also has some sections where snorkeling can be fun. One good area is in front of the Waikiki Aquarium. 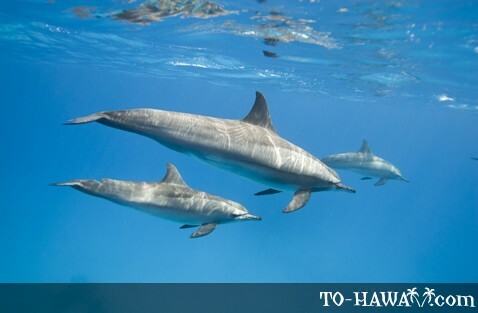 Maui is home to several marine life preserves - Honolua Bay, Ahihi Cove, La Perouse Bay and Molokini Crater – which offer some of the best snorkeling on the island. Molokini Crater is a small island off Maui's south shore. There are several companies based in Lahaina or Ma'alaea Harbor that offer Molokini snorkeling tours. Honolua Bay is located north of Kapalua. The best time to go snorkeling here is in the summer when the water is usually calm. Ahihi Cove and La Perouse Bay (the snorkel site here is known as Dumps) are both south of popular Big Beach. Both snorkel sites are located within the Ahihi-Kinau Natural Area Reserve, a protected bay with an amazing underwater life and a unique mixture of coral and lava rocks. The shoreline is rocky, but the snorkeling conditions are perfect, especially when the water is calm. Ke'e Beach is a popular snorkel site on Kauai's north shore right where the popular Kalalau Trail begins and the highway ends. Another popular snorkel destination in this area is Tunnels Beach, known for its large offshore reef. If you are on Kauai during the summer, you may want to check out Anini Beach Park. It is another great snorkeling beach on the north shore. Just like any Kauai north shore beach, the conditions are best in the summer months because in winter (November through March) the surf is up and it's often too dangerous for swimming or snorkeling. If you are a beginning snorkeler, one great place to try snorkeling is at the north end of Lydgate Beach Park on Kauai's east shore. There is a man-made rock barrier that protects snorkelers and swimmers from strong currents and high surf. It's also a great place for children. 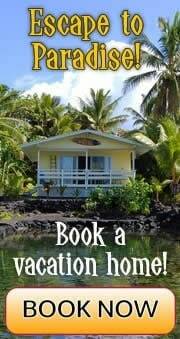 Other good snorkeling beaches are Salt Pond Beach Park and Poipu Beach Park, both located on Kauai's south shore. The Big Island's best and most popular snorkeling destination is Kealakekua Bay, located on the Kona Coast, about 12 miles (19 km) south of Kailua-Kona. It is a marine life conservation district accessible only by boat or kayak. Several tour companies offer snorkeling or kayaking excursions to the bay. 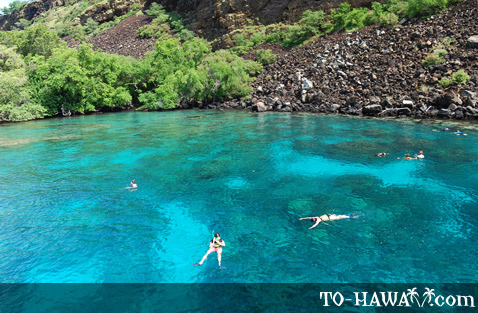 Kealakekua Bay is home to a large variety of tropical fish and there's a spectacular coral reef. Other prime snorkeling locations on the Big Island are: Kahalu'u Beach Park, Kapa'a Beach Park, Puako Bay, Kiholo Bay, Pu'uhonua o Honaunau and Kapoho Tide Pools.